When it comes to teaching kids about the financial process, it is not an easy job. Teaching kids about money matters is entirely a different method which doesn’t require spreadsheets which may not go into the mind. Managing money is a lesson that every person has to learn for financial progression. Adults have a number of subject options like the finance to help in understanding or the way to stabilize the financial department. Many even learn after the wake of the debt crisis, which can take away their financial liberty. So why not train your kids’ right in the early age. There are financial literacy activities for elementary students that help them to learn different aspects of financial savings. There are many financial decisions which we need to take, in terms of buying, eating and other investments. This is where the decision making skill comes to the role and the quality of teaching also matters. Teaching financial literacy to middle school students with making right decision thing is something that should be started. These lessons can be taught through a slide presentation. Presentation with images gives more in-depth narration and creates more interest among students. There are game activities that can be taught as a part of financial literacy for kids’ lessons. You can check out different websites where financial games are available including – Financial Football, Peter Pig’s Money Counter, Road Trip to Savings, Money Metropolis, etc. These games are designed to create interest among students and understand the basics of financial savings. Another important lesson for teaching financial literacy to middle school students is to make money for the future safety. When planning for the future, it is critical to determine the financial decision for the career path. Kids need to be taught about the importance of having money saving importance for future and different strategies to be adopted to get the best return. There are study guides in the form of presentation and others to make the process of understanding easy. Budgeting is the part of financial planning and allocating the future income toward expenses and debt repayment. Under the children’s financial literacy programs, students can be taught about the dilemma of the money spending on different occasion. Effective money management begins with a goal and a step-by-step plan from saving to spending. Children should be thought about the realistic financial goals and the time frame to imply the action. This lesson will certainly encourage students in taking efforts to develop a time frame on financial goals. Today’s generation wants to live independently, which needs a proper financial planning. Allocating future income and savings, is an essential part of financial planning. Here Effective Money Management system allows in learning step-by-step plan in saving and spending. Here, teaching financial literacy to youth about the financial management while alone is important and develop own personal financial goals. Decorate piggy banks that can encourage kids on using decorations for visuals goals and strips of colours representing different aspects of savings. Use plastic cups and dried beans for demonstrating budgeting purpose to kids. This can be by starting the set of beans and showing each with spending category and limiting each for future. Show the value of recycling by making the craft of waste items. This will also show the value of waste items and can be done by turning the toilet paper trolls and boxes. Making of homemade toys can help in showing as the pay dividends in the long terms. This can also be fun for kids to play and learn about the long term dividends. Financial literacy activities for elementary students are an important part which should be in their learning process. 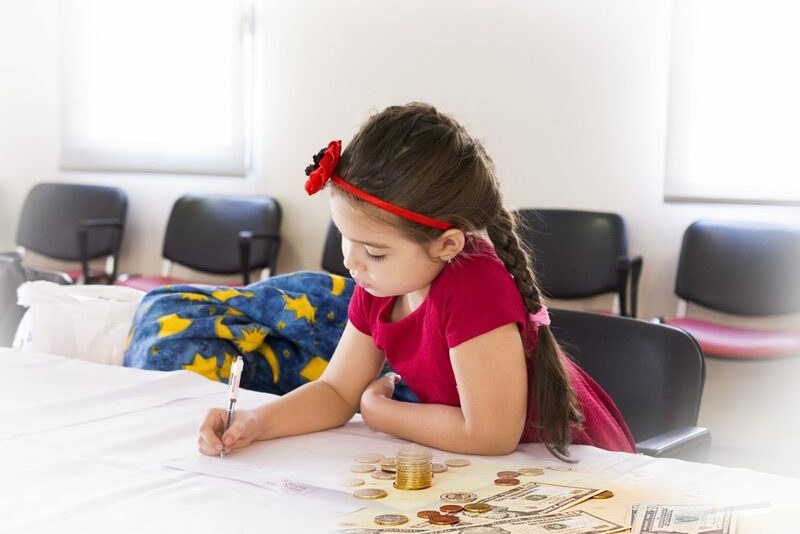 Teachers and parents need to have a proper planning when it comes to teaching financial literacy for kids’ lessons by using crafts and other playful methods to help in understanding the process of saving and spending.